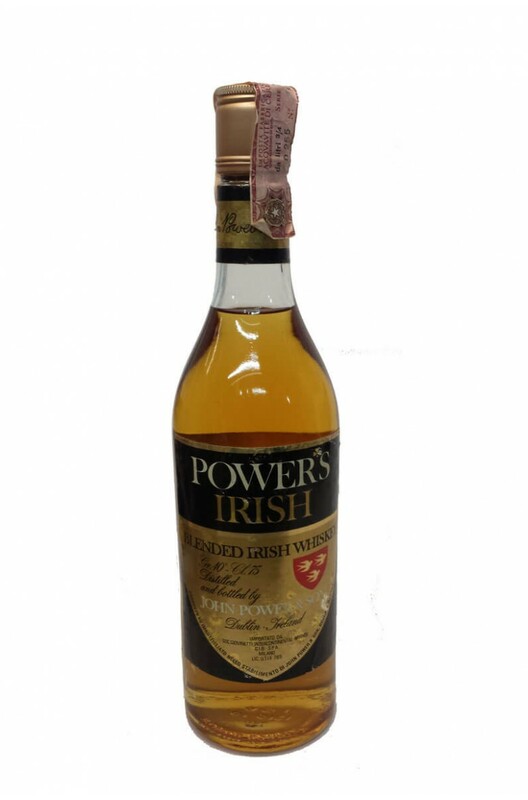 This is an old style Powers whiskey that was most likely bottled in the 1970s or early 1980s. Originally exported to Italy, the label text is mostly in Italian. We have a number of these bottles all in a similar condition with a small amount of scuffing and wear on the labels but the fill levels and closures are all good. These bottles were most likely distilled at the old Powers Distillery before production switched over to Midleton in County Cork. Distillery Most likely the old Powers John's Lane Distillery.